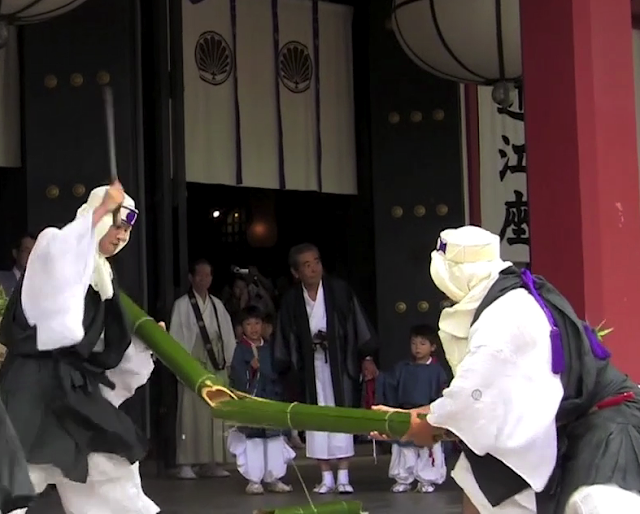 In the Takakiri-eshiki ritual, bamboo stalks representing the male snake are cut by sword-wielding monks. 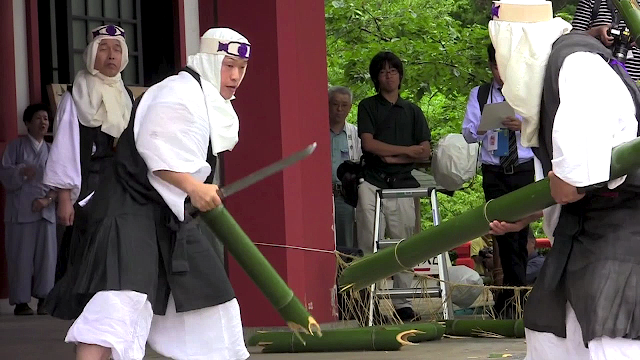 There are two teams representing the ancient provinces of Omi and Tamba. 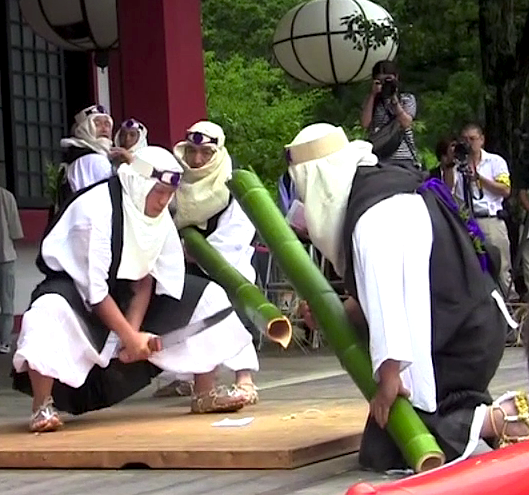 It's believed that whichever team cuts the quicker their represented area will have the better harvest.